"The River Wandle runs north to south through the centre of this map and most of the development of the area has taken place along its banks. The river provided the energy to turn the water wheels which powered the various mills and works which were established along the Wandle, many of which date from the 18th century." So begins John Brown's introduction to the map. 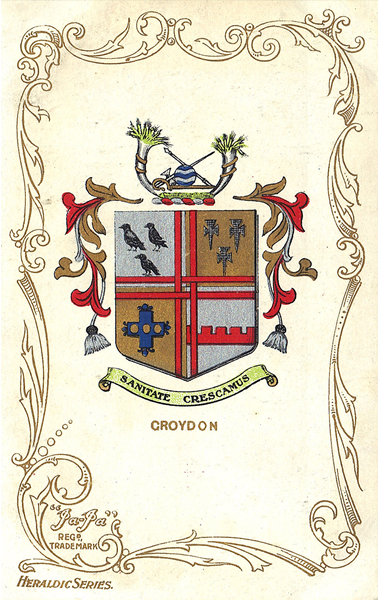 The works include Eagle Leather Works, Wandle Tannery, Mitcham Leather Works, and there are also various watercress beds. The community of Beddington Corner is shown in a state of construction with roads such as Wolseley Road,Wood Street and New Road partly built. The London Road runs north-south and almost parallel is the railway; Mitcham Junction station is at the top of the map. The map extends west to Greenwrythe Lane, and Ravensbury Park is in the NW corner. Tramway Terrace is a reminder of the earlier Surrey Iron Railway. The map links up with Surrey Sheets 13.04 Mitcham to the north, 13.12 Carshalton to the south, 14.05 Mitcham Road to the east.